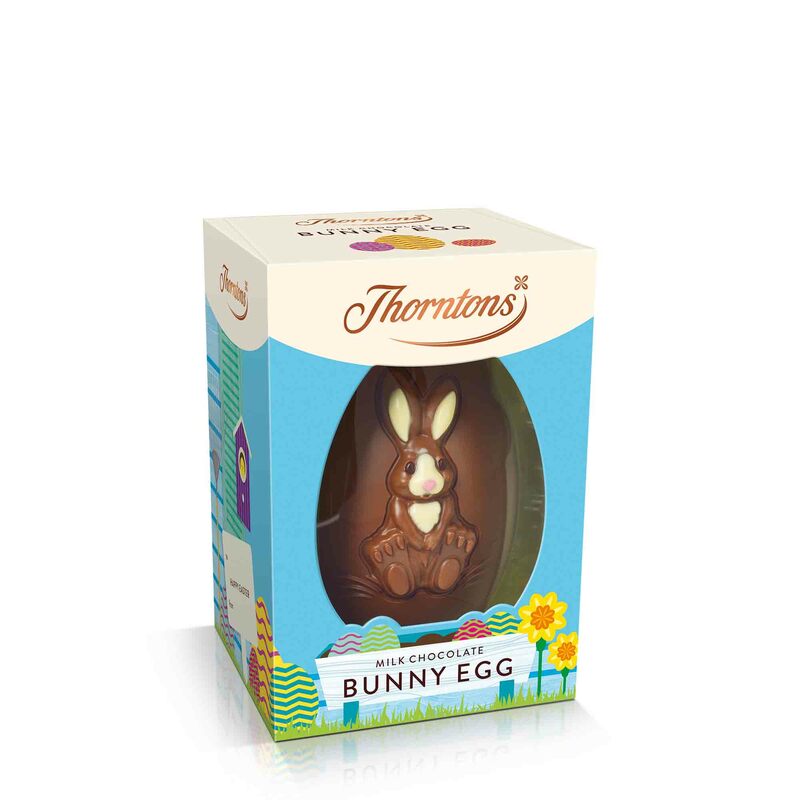 Make them hoppy with Thorntons milk chocolate bunny egg. 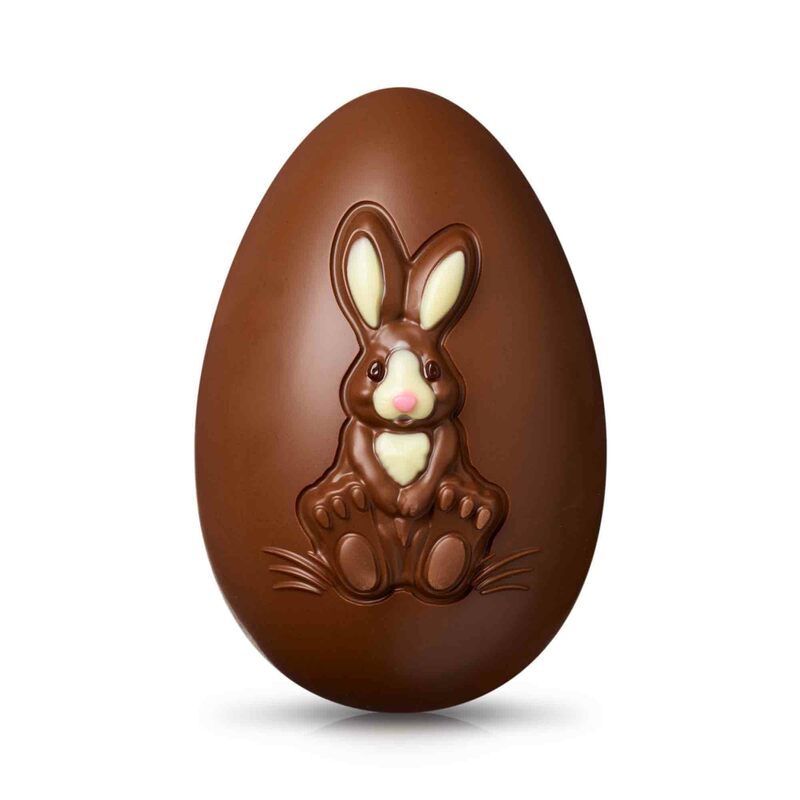 Full of character and our famous chocolate, this delicious gift will add plenty of animal magic to their Easter. Sugar, dried whole MILK, cocoa butter, cocoa mass, MILK fat, emulsifier (SOYA lecithin), fat reduced cocoa powder, colour (beetroot red), flavouring.